Presidio Components Inc, an industry leader in the manufacture of specialty capacitors since 1980, is pleased to announce that it has acquired the assets of Wright Capacitors Inc. (WCI). The acquisition includes the purchase of all assets including open purchase orders, as well as a definitive agreement to manage a seamless transition and continued outstanding customer service for the mutual customer base. Wright Capacitors, Inc. (WCI), known the world over as the preeminent custom ceramic capacitor supplier is proud to present our newly updated web page and product offering. 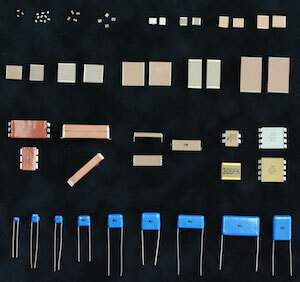 With four decades of experience, WCI is exceedingly capable and specializes in producing all types, styles and configurations of ceramic capacitors; assemblies, stacked caps, surface mount, radial-leaded, conformal coated or fully encapsulated (potted) multi-layer ceramic capacitors. 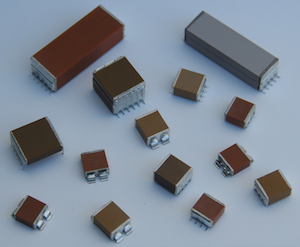 Additionally, WCI also offers a wide array of single-layer ceramic capacitors. 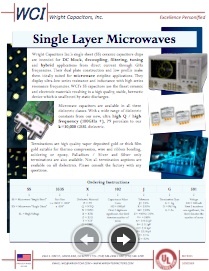 Simply put, if your need is for a ceramic capacitor, Wright Capacitors, Inc. can do it, The Wright Way! WCI currently serves a customer base of well over 100 cutting edge companies in the defense, aerospace, satellite, oil/gas exploration and electrical: power, supply, testing and measurement systems industries. Major OEM’s and small “niche” producers, international as well as domestic, rely on WCI to fulfill their requirements. WCI endlessly strives to meet the needs of our diverse customer base. Registered as a small woman owned business with the SBA, WCI exercises a production planning and control system dedicated to rapid response of all inquiries. Our custom, build-to-order process coupled with our hands-on personalized attention to detail centers on exact validation of requirements and ensures the timeliest outcomes possible. This system, carried out under controlled conditions and registered to ISO 9001 standards assures our customers of “perfectly produced parts” every time. Please take a few minutes and peruse our new website. We have added numerous items including single layer capacitors as small as .003” square and dielectrics operating at greater than 100 GHz. Our multi-layer line includes our proprietary N2200 (among many others) which enjoys an extremely strong position in the detonation applications sphere and are available with or without integrated bleed resistors. Our line of high temperature and high reliability products are also second to none and, as always, can be configured to your individual needs. 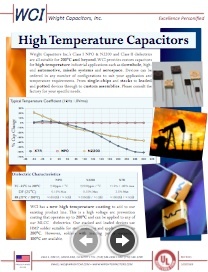 Contact Wright Capacitors, Inc. for Pricing and Production information.